CUJO AI enriches cybersecurity ecosystem by announcing its Artificial Intelligence (AI) Platform. It will help Internet Service Providers (ISPs) support their customers privacy by placing IoT devices beyond the reach of hackers. With this platform, ISPs can enable full internet security protection for their home users without having to replace or introduce a new hardware. December 15th, 2017 from Los Angeles, CA: CUJO AI announces CUJO Artificial Intelligence platform. This platform mission is to offer ISPs essential building blocks required to succeed in home automation: AI network security, AI device intelligence and semantic parental controls. CUJO AI solution is designed to protect home users, who today are in a challenging position. The manufacturers do not secure smart devices. Network core solutions do not see LAN communication. Traditional solutions like antivirus and DNS are reactive by design, failing to respond to 1 million daily threats. Home networks, as a result, are left exposed to ever-increasing threats. CUJO AI uses threat intelligence, machine learning, and cloud-computing to analyze devices behavior. 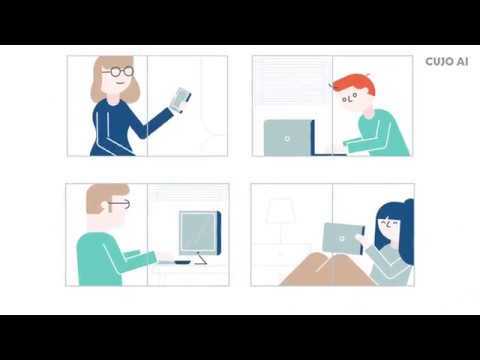 CUJO AI algorithms identify all user devices on the network, troubleshoot possible issues, block known threats and inform the user about the status via the app. Ability to control devices, access and security are the key factors of the CUJO AI Platform. Without having to replace or introduce new hardware, ISPs can enable full internet security protection for home users. Using CUJO AI platform would help various ISP departments reduce costs and deliver value to their customers. “The ISP router in the home is strategically located at the interface between the home and the network. With CUJO AI, ISPs have an opportunity to develop and launch AI-based solutions that leverage the computing power of the cloud and the low latency nature of the broadband network that integrates with the home router” explained Einaras von Gravrock, CEO of CUJO AI. CUJO AI platform is the next step after developing a consumer product CUJO AI Internet Security Firewall. It was built to protect home users, as traditional security solutions are outdated with cybercriminals creating a new ways to reach into our homes every day. Also, on the 9th of January, CUJO AI CTO Leon Kuperman will join a panel titled “Support, Privacy, and Connected Consumers: Providing a Seamless Experience”- at the CONNECTIONS™ Summit at the Venetian Hotel, Level 4, Marcello 4405. Be the first to comment on "CUJO AI Announces Artificial Intelligence Software Platform At CES 2018 Las Vegas"